Jennifer McGarrigle holds a PhD in Urban Studies from the University of Glasgow, UK. She is currently Assistant Professor in Human Geography at the Institute of Geography and Spatial Planning (IGOT) / Centre for Geographical Studies (CEG), Universidade de Lisboa. Previously, she was Investigador FCT and FCT Ciência (2007) Research Fellow at CEG-IGOT. She has worked on various competitively financed international projects including the project management of GEITONIES (EU-FP7) and MEDCHANGe (FP7/ Marie Curie Actions) and nationally funded projects. She was the Principal Researcher (PI) of Socio-Spatial Integration of Lisbon’s religious minorities: residential patterns, choice and neighbourhood dynamics (PTDC/CS-GEO/113680/2009), 2011-2014, funded by the Portuguese Foundation for Science and Technology (FCT). 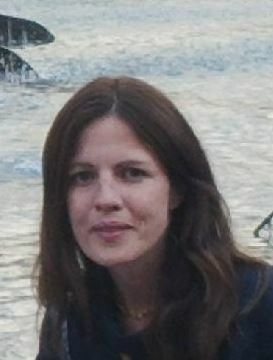 She is author of “Understanding Processes of Ethnic Concentration and Dispersal” (University of Amsterdam Press, 2010), has published in various international and national journals such as the Journal of Ethnic and Migration Studies, Housing Studies, Finisterra, Social Inclusion and Tourism Geographies.